To appreciate is to understand, value, and increase in value. 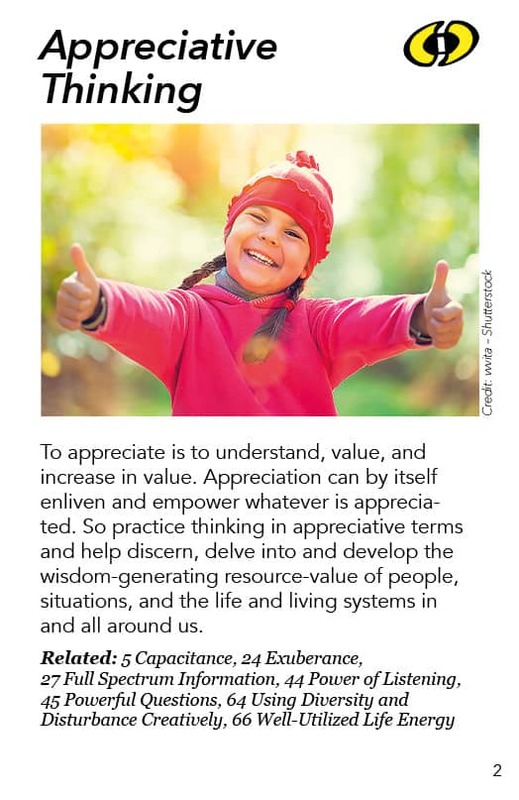 Appreciation can by itself enliven and empower whatever is appreciated. So practice thinking in appreciative terms and help discern, delve into and develop the wisdom-generating resource-value of people, situations, and the life and living systems in and all around us. Usually you think that to appreciate something is to think how valuable it is, or to voice your appreciation: “I think you’re great!” Understanding is another application of that word, as in “I’ve come to appreciate the complexity of what’s going on here.” And it can also refer to an increase in the value of the thing being appreciated, as in “Certain kinds of landscaping can help a house appreciate in value.” It is a really interesting word – and it is thought-provoking to combine all three of those meanings. When you combine all those meanings together, you value something because you understand it, and you understand where it fits. And your informed, appreciative relationship to it, your attitude about it, enhances it, making it even more valuable. This combination produces a very potent level appreciation. 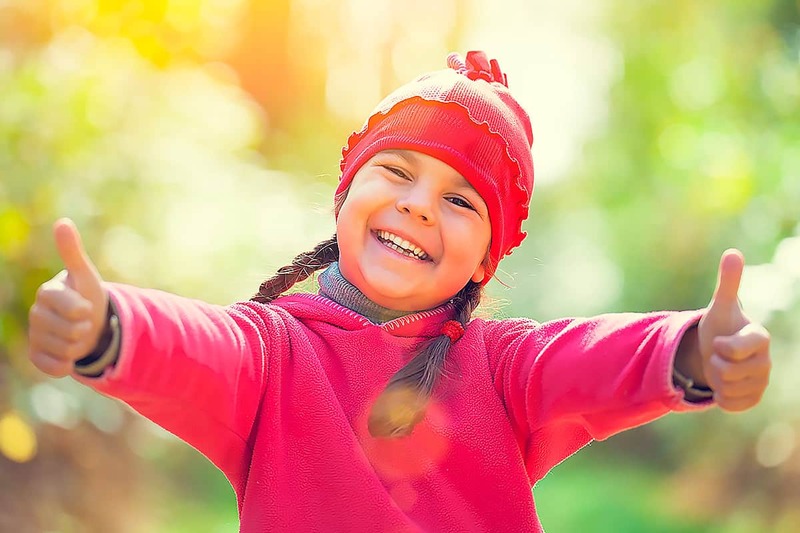 We all know that if we are particularly appreciative of a child, if we appreciate whatever the child is doing, they come to life, they feel more powerful and able to function. If you appreciate a kid’s art, they’re more inclined to do art. It’s a validation of them, and they want more of that, so they do it some more. “We are great!” says the leader, appreciating the people they are leading, thereby enlivening and empowering them. There is more team spirit and energy in that group, if the leaders are appreciative of them. Appreciative critique is an interesting, seemingly contradictory phrase, but there’s a dynamic tension in it that can be quite powerful. First of all, your appreciative critique is specifically designed to help out, to help the person or thing be better. It’s not a “cutting down” kind of critique. So you are looking at things that could be made better while appreciating the larger effort and the highlights. You could even appreciate the intention: if the thing itself doesn’t seem to be achieving the desired results, you can still appreciate the intention behind it, while you critique the way it goes about trying to do whatever it’s doing, with your intention being to help it ultimately succeed. Usually appreciation is not well connected to critique, and usually critique is not well connected to appreciation. So having those two combined helps you discern what’s really going on with this person or thing. It helps them discern too. With the way opened up by your appreciations, you can get deeper and deeper into it, as you look closer and closer. This is the magnifying glass of critical thinking, assisted and developed by its partnership with appreciation. If we have something about our society, something about our democracy, something about the way we are relating to each other, or talking or making our decisions, we need to appreciatively critique it. And whatever wisdom generating dynamic we are dealing with, we want to intentionally expand the wisdom generating value of that thing as a resource for wisdom. There is a way in which we can generalize that. Whenever we are relating to anyone or anything, it has a potential role in the wisdom of whatever happens next. If we have that perspective and carry it with us all the time and in all our engagements –if we appreciate that fact – that can be a very powerful addition to our life, to the lives of the people and situations that we are dealing with and to the larger society. It’s like, if you have a belief in the value of dialogue and skills in the value of dialogue, and you can bring that to every situation you’re in, that can be part of creating a culture of dialogue. I think we can carry the wisdom generating, the wisdom accessing, the wisdom sharing perspective into whatever we are dealing with, and do it from an appreciative angle that includes critique but is not limited to either appreciation or critique. That can be a very powerful way of enhancing the wisdom generating capacity of the whole community, society or group. Appreciative inquiry, active listening and empathy are all manifestations of appreciative thinking. Dynamic Facilitation and Nonviolent Communication both use active listening and empathy. The practice of appreciative thinking begins with the individual. This is not something widely taught us as children and greatly impacts our ability to appreciate others at a deep level… beyond the surface. My experience says that we can truly take in and appreciate another when we can do that for and with ourselves. This means that we are able to see our true value… our gifts… abilities… skills… traits, etc. This also means that we can access our dark side and see, even here, that there is value. The dark side encapsulates that part of us we disdain, deny and do not want to acknowledge. In doing this, we greatly lessen our ability to appreciate others for we secretly hold judgment of ourselves and project that out on others. We may outwardly ‘appreciate,’ but inwardly we are in judgment. It is our willingness to practice looking at all parts of ourself with non-judgment that broadens our capacity to truly appreciate others. There is a simple yet profound practice I personally use and teach to others that helps us move into greater allowance and non-judgment with ourself. It is this: as often as possible throughout my day, I check in with myself asking these questions: What am I thinking? What am I feeling? What is going on in my body? These three questions along with self-reflection bring me into ever-greater presence with myself. Over time, I gain a more intimate knowing of myself, and as a result, I become more allowing and compassionate of others. This fosters a feeling of more genuine appreciation… appreciation anchored in self-awareness.